Kevin Richards (behind Brett Davey on the ball) playing for Ton Pentre in Europe against Heerenveen. Back in April we reported that Ton Pentre were the subject of a documentary that was to be broadcast in the Netherlands. The Dutch documentary was about the Bulldogs UEFA Intertoto Cup match against sc Heerenveen in 1995. The 30 minute documentary appeared on national television in the Netherlands on Fox Sports NL. You can watch it in full below. A huge thank you is due to Ian Johnson (Twitter: @ianjamesjohnson) who has kindly provided a translation for the Fox Sports documentary. Using Ian’s translation below, you can follow the video and read what the Dutch contributors are saying. Narrator: It’s the 1994-95 season. SC Heerenveen are having a good year – the stadium is full, the football is flowing. With the introduction of the renewed Intertoto Cup it’s possible to achieve European football outside of the major competitions. Wilco Hellinga (former player): Of course, it’s something you want, but it was a huge surprise. When you’re from a small, but fast growing club, with the advantages of a new stadium and everything that comes with it – you get better players, finish higher up, so we came seventh and that meant European football. For us that really meant something. Johan Hansma (former player): It was a tournament organised so you could qualify for European football – I think they called it Europa Cup 3 at that time and you could play official European football, even if it was in the preliminaries. Something we’d never done before. Riemer van der Velde (former chairman): There was a structure for qualification if you wanted to participate, so after the clubs had qualified for the major competitions then the others had the opportunity, with one or two per country, so for a few years we had some great experiences. Hansma: I arrived two years earlier, from Zwolle where I’d been playing in the Jupiler League, the first division, and then came to Heerenveen and played in the Premier Division, so having the chance to play in those games in another country, well, that was just amazing. Lize Crossen (fan): You had to register, you know, sign up. There was never any doubt, though, we had to be there. So I was there with a group, seven or eight of us who always to go to Heerenveen games, usually at the back of the supporters bus, so we all rang each other up to ask what we were doing and, you know, put our names down on the list. Newsreader: Heerenveen today begin their European mission and the Frisian club have taken out an advert in the regional papers to show they’re taking it seriously – calling on fans to support the club in their European football quest. Tonight was the first game but the Abe Lenstra Stadium wasn’t full for the first game in Group 4 against Danish club Naesteved IF. Narrator: The first opponents in European competition were Naestved IF. Heerenveen win the match 2-1 and later travel to Wales to take on Ton Pentre. Evert ten Napel: Ton Pentre. Well, it won’t mean much to most people but Ton Pentre is a small village in Wales, the birthplace of Tom Jones, by the way. Van der Velde: They were a modest, traditional club. I understand they’ve had a tough time of it since, because of the travel costs that came with it, but Ton Pentre was the start of our European adventures. Hansma: Yes, this was the first European international away match so we had to go to Wales to play a big club away. Narrator: Ton Pentre, a small historic village in the heart of the Rhondda Valleys in south Wales. 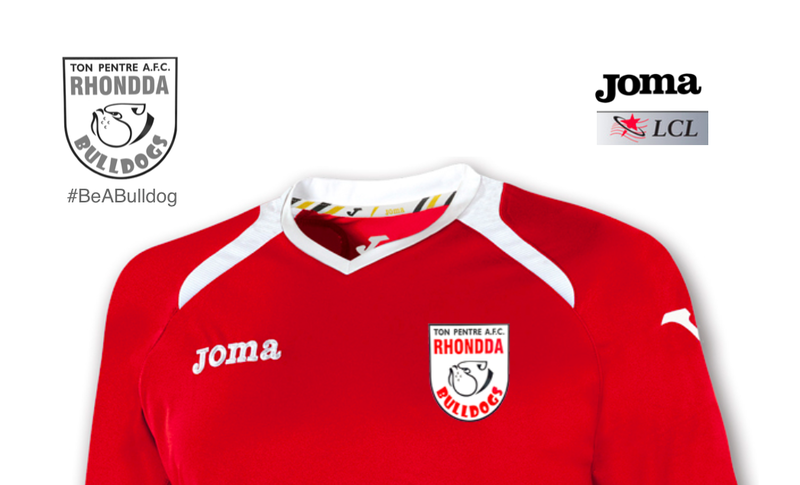 Ton Pentre has one local football club, Ton Pentre FC, also known as the Rhondda Bulldogs. The Bulldogs were promoted in 1993 to the Welsh Premier League and surprisingly finished third two seasons running, placing them in 1995 in the Intertoto Cup position. That Ton Pentre were in a position to play in European football is quite remarkable – the players are amateur, the club hasn’t a penny to rub together and the stadium is seriously ageing. Narrator: And so on 25th June 1995, Ton Pentre became the hosts for an official European competition match, but, not entirely unexpectedly, Ton Pentre’s traditional Ynys Park was rejected by UEFA, leaving the Rhondda Bulldogs to search for another venue to play their home matches. Narrator: Cardiff, Wales’s capital with almost 350,000 residents. Right in the centre is Cardiff Arms Park, the stadium for the Cardiff Blues rugby club. The Arms Park is right next to the Millennium Stadium, the national stadium for Wales’ football and rugby teams. Hansma: [laughing] We saw the large stadium, the national stadium, a fantastic ground that I think is where they play rugby. We played in the stadium next door, but that was still an improvement on Ton Pentre’s home ground. Hellinga: We got there, the whole team, and thought ‘wow, that’s impressive!’, looking through the gates, but something wasn’t right – the gates were all locked up, but we could see the pitch through them, and were like ‘wow’, but we pretty soon realized it was the ground next door! That was a bit of a disappointment [laughs], so the rugby ground, the 80,000 seater stadium, that wasn’t for us! Narrator: The Little Arms Park, right next to the rugby stadium of the same name, of Cardiff RFC. Just before six o’clock local time the Heerenveen players are warming up. Here are the fans arriving at the ground, after hours en route, 120 of them in total getting to Cardiff on three buses. Cozens: We left Heerenveen in the afternoon. Went to Oostende in Belgium where we had a hotel overnight. We had a 7am departure and weren’t waiting for anybody. But we went out and had a big party, and then we were supposed to be off. But there was a fan who wasn’t there and we were like, well, we can’t wait, so we went. We went down to Calais, and got on board the boat, and had lovely views of Dover on our arrival there, and the buses drove off the boat and I think we were around London when we heard this huge noise alongside us and everyone turned to look and there was a taxi with a Heerenveen scarf flying out the window, and it was him – the guy we’d left behind. He’d got a ticket for the boat and then got a taxi, all paid for by himself. So they rode up next to us and the bus pulled in and he got on board. Great story. Brilliant. And then soon after we were in Cardiff. Narrator: The Ton Pentre team in new shirts ready for their first big European match. Foppe de Haan’s team talk compares Ton Pentre with Dutch Amateur clubs. Hansma: We knew nothing about them. We knew they had 11 players and their home ground had been rejected by UEFA and they were playing in another ground. And that was it. Narrator: Heerenveen quickly put Ton Pentre under pressure with a quick passing game, a deep lying forward, Pieter Bijl, and three blocks of three behind. Here’s the first chance, in the first minute, for the Dane, Tomasson. Halsma: Tom Sier, left back; Michel Doesburg, he played right back. In goal was L’Ami. Alex Pastoor, Tomasson, Jan de Visser and of course Roelofsen. Regtop, yeh, Erik Regtop, Erik Tammer, Romeo Wouden. Yeh, at that time we had a pretty special team. Narrator: The corner was taken by Regtop himself, the chance made by the defender and so in the 9th minute, Heerenveen take the lead against Ton Pentre in Cardiff through Johan Hansma. The Welsh amateurs make a series of mistakes. Ellacott started to come, but hesitated, saving Regtop’s first shot but, a minute after Hansma’s opener, it’s 2-0 to Heerenveen, thanks to Regtop. Narrator: The free kick from Johan Hansma is struck precisely through the gap between Ellacott’s hand and the goalpost. It’s already 3-0 to Heerenveen, with Hansma’s second goal. Hellinga: We knew early on in the game that we could take them apart. It was clear, not just from the final result but throughout the game that we would get a lot of chances, and that’s how it ended up a convincing victory. Narrator: Halsma just about keeps the ball in, but a terrible challenge from Davey – probably not deliberate but maybe more acceptable on Wales’ cabbage patch pitches. Narrator: A concerned look on Foppe de Haan’s face, who gets young central defender Schumacher to warm-up. But Hansma returns after some brief treatment. An attack from De Visser and then back of the net from Erik Tammer. 4-0 to Heerenveen. Tomasson and a blunder from Ellacott. Tomasson. Thank you very much, scores his second, and that’s 5-0 to Heerenveen. Impressive attack from Tomasson and it’s 6-0. Narrator: Here an example of the Welsh team tiring. Heerenveen play the ball out quickly out, through Erik Regtop playing on the right this half. Wouden is now also on the pitch and Regtop fires home to make to seven and Heerenveen win their first proper European away game, in Cardiff, against Ton Pentre, 7-0. The travelling support are appreciative. Hansma: I think 7-0 is, in Heerenveen’s history, still the biggest ever European victory. Cozens: As a fan, you go to matches like this with a certain sense of expectation, so 7-0 was, well, a bit of an anti-climax, but, yeh, for the first European away game and you’re up against an amateur team then 7-0, well done, lads, we’ve done what was needed. Hansama: Another of my memories is that the victory was a big one, 7-0, and that the players they honoured us by lining up and we walked past and took the applause from the players. That’s now pretty much unimaginable. Hansma (interviewed at the time): We did well from the corners and the free-kicks. The corner went in and then the free kick went in. I’m very pleased. Hansma: Ha, yes, I saw the footage and thought, “that’s a totally different era”. You wouldn’t do that now. Hellinga: Crazy, eh?! Standing in the middle of the dressing room, with Doctor Wiesman behind you and totally naked men standing there. These days you’d never do that. It would all be done outside. Foppe de Haan (at the time): I thought we played well and kept the ball. We had a good win. But we’re sporting people, we didn’t want to humiliate them. Hansma: A night out on the town! Sierk Kooistra was the reserve keeper but he didn’t have anything appropriate to wear so went out in his club suit on, but by the following morning he’d lost half of it! Narrator: After the big win at Ton Pentre, Heerenveen won almost all the other ties and were group winners. Eventually Heerenveen lost the semi-final to Bordeaux, later UEFA Cup finalists with players such as Zinadine Zidane and Richard Witschge. SC Heerenveen’s first European adventure is a huge success. Hellinga: I think the club made a lot from it. Playing Bordeaux brought a lot of people on board. Commercially it was good for the club. I think the club made a lot of money. I think it gave a good push towards the Champions League, which is bigger, much much bigger, I think. Hansma: I think this was Heerenveen’s second year in the Premiership and the whole club grew and developed through this and eventually wound up second in the Premiership and went from the Intertoto to reaching the Champions League. That was a great time. Narrator: But while the Intertoto adventure was the stepping stone for SC Heerenveen’s later success, for Ton Pentre it was a step too far. The Intertoto costs put Ton Pentre in serious financial problems. The club was on the brink, but survived. From a sporting perspective, the Heerenveen match remains the highpoint in the club’s history. Narrator: Ton Pentre may not be one of Heerenveen’s biggest opponents, but certainly one that will never be forgotten. The Intertoto competition wasn’t a success for them, but the south Wales village fought hard to play in European football, and, who knows, maybe Ton Pentre will once again play familiar opponents – SC Heerenveen.